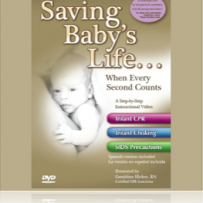 Home » Family safety » Free DVD Saving Baby’s Life…When Every Second Counts. For a limited time the video is free for class participants. (1 video per family).